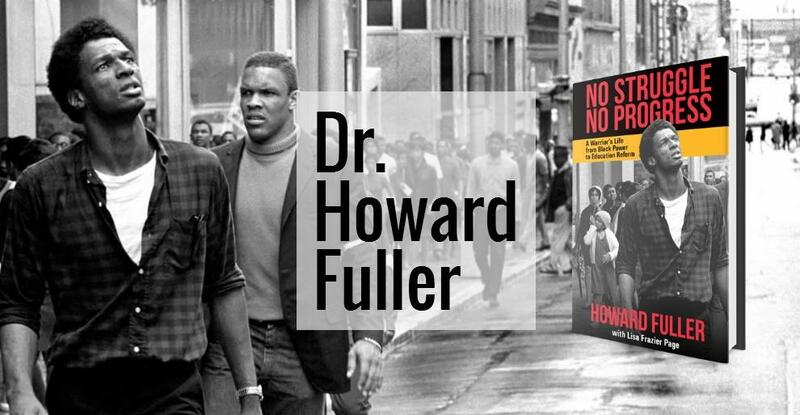 Dr. Howard Fuller's new memoir details his life in social and educational reforms, including his time as Superintendent for Milwaukee Public Schools. Lake Effect's Mitch Teich talks with Dr. Howard Fuller about his memoir. There are few people in the Milwaukee education community who don't have strong feelings, one way or another, about Dr. Howard Fuller. Fuller served as Superintendent of Milwaukee Public Schools from 1991 to 1995. His aim was to make the school system work better for black children, living in impoverished homes. When he decided his vision wouldn't be realized within the system, he left and became a full-time advocate for education reform. And in Milwaukee, this has meant that he is the leading African American voice in support of school choice programs and vouchers. Fuller's work now includes being director of Marquette University's Institute for the Transformation of Learning and chairing the board at Milwaukee Collegiate Academy. But if you thought you knew Howard Fuller, he would suggest you think again. His memoir is just out, detailing his childhood in Milwaukee and at Carroll College in Waukesha, his time as a community organizer in Cleveland and North Carolina to his work in the Pan African movement in the 1970s and founding Malcolm X Liberation University. Fuller spoke with Lake Effect's Mitch Teich about why he thinks this is the right time to tell his whole story. His memoir is called No Struggle, No Progress: A Warrior's Life from Black Power to Education Reform. "You have to be impatient with the pace of change in our community. But you have to be patient enough to fight it every single day," says Fuller. Environmental issues have stirred up many emotions throughout the years. Global warming, rainforest preservation, and oil drilling, to name a few. One issue in particular has effected Wisconsin and eastern Minnesota: sand fracking, a method of drilling for natural gas. Those who are in favor of the method are in favor of the jobs it creates and the access to a natural resource. Those who are against the method do not support what it does to the natural landscape. Author Karen Abbott spoke with Lake Effect's Mitch Teich about unique women during the Civil War highlighted in her book, "Liar, Temptress, Soldier, Spy." For the past three years, Americans have been looking back at the Civil War during its 150th anniversary. The war, in many ways, still shapes America today - in areas such as race relations and the economy. Lake Effect's Bonnie North talks with bestselling author Elizabeth Gilbert. Back in July, bestselling author Elizabeth Gilbert spent an evening chatting with Lake Effect's Bonnie North at Boswell Book Company. Wisconsin mathematician Jordan Ellenberg spoke with Bonnie North about his new book and how it can change how we view our relationship with math. For most of us, math is terrifying. Even if we did well in school, few of us see how math has anything to do with our everyday lives, save for calculating a tip or a batting average.